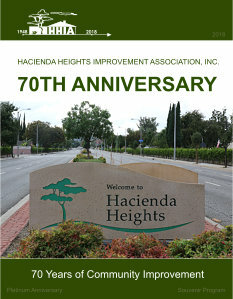 Help | HACIENDA HEIGHTS IMPROVEMENT ASSOCIATION, INC.
Because we cannot control the file formats of the various documents we receive, the files we present may be of a type that your computer is not setup to read. The file format we use most often is the Portable Document Format (PDF). This is a very common document format that most devices can read. In case your viewing device is not setup to read PDF’s or other file formats we present, we’ve provided information below on where you can go to obtain readers/viewers for the more common file formats we receive. Check your application store, provider, or repository. We receive documents from a wide variety of sources and therefore before posting them, we scan each document for viruses. When downloading internet documents, some antivirus software settings enable the program to issue you a Warning or a Notice to alert you of a possible threat- not that a virus was actually found but that the potential is there. Inform us of the fact- see Website Committee on the Contact Us page, and we will look into it. In some cases and if time permits, we will attempt to provide you a text version of the desired file via email. Also, we do provide printed versions of some online documents on the HHIA’s Community Bulletin Board- for location, see bottom of the right-hand sidebar. Visit the file using a different protected computer- your antivirus software may be giving you a false positive- in which case, you should contact your antivirus software provider for instructions. How to adjust the size of the text on websites? To adjust the text size on a desktop computer and viewing our website in your favorite browser, press and hold the Control key [ctrl] on Windows, or Command key [cmd] on Macintosh, then tap the “+” (plus) and “-” (minus) keys- press the “0” (zero) key to put the browser back to the default or normal size. I have information that I think would be of interest to our community, what should I do? Get as much information about that topic that you can- devise a title, obtain links, pictures, graphics, scan the documents that you have- do some research. Determine the appropriate HHIA Committee that would address the topic (here) and email your information to the appropriate Committee Member(s.) They will then add your topic to their monthly report, and if the topic is time critical or of lasting value, they may request that the information be placed on our website. We have PDF’s for the community, will you put them on the HHIA website? If you are an organization that has many PDF’s that you want to share with our community, we ask that you place those PDF’s on your website, then by your request we may provide our readers a LINK to your resources. We prefer that you place your PDF’s on a single page titled “Home”,”Events”, “Calendar”, or something similar. Press the F5 key on your keyboard. This will force your browser to refresh the page; pulling all page information from the website server. Close the browser and reopen the page, or browse away from the page and return to the page in question. This may force/note that the page is Expired and will then pull page information from the website server. Contact the HHIA website committee with as much information as you can. Include specific page(URL), sections and information that may be out of date. We appreciate your input.